yea but then you couldn’t carry on the card game!! You’d probably miss whomever you were shooting at and the recoil would shatter your wrist. Like the recoil from any gun that fires 45s will shatter YOUR wrist…. pretty sure this gun isn’t meant to be shot from far distances, so I don’t think it will miss it’s target if used properly. 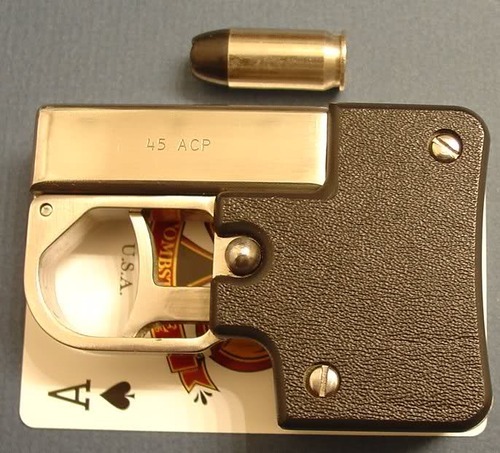 If I handled this thing about as well as I play cards, one of my nuts would get shot off.